1.In small bowl, stir 2 tablespoons lime juice, oil and jerk seasoning. Place steak in large zip-top plastic bag; pour lime juice mixture into bag. Seal bag, pressing out excess air; refrigerate at least 4 hours or up to overnight. 2.Prepare outdoor grill for direct grilling over medium-high heat. In medium bowl, toss bell pepper, onion, pineapple, black pepper, habanero and remaining 1 tablespoon lime juice until combined. 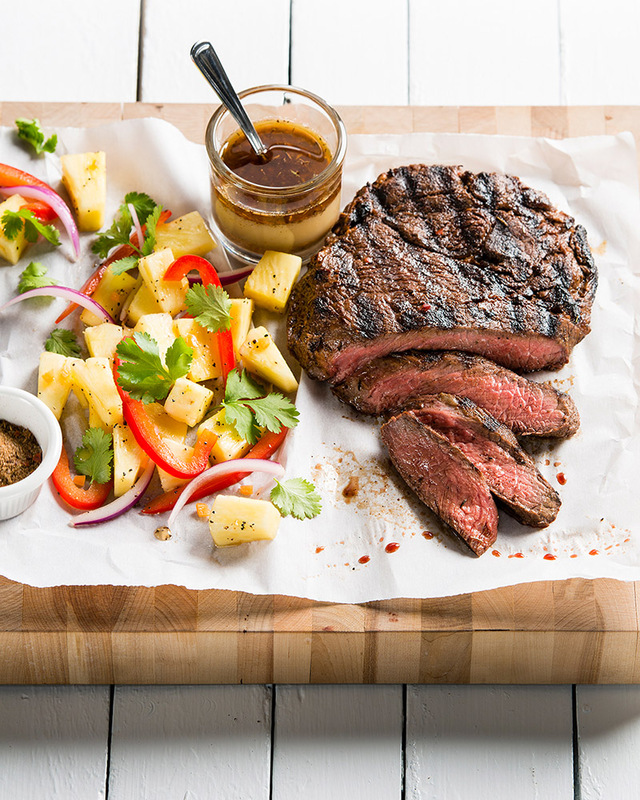 4.To serve, thinly slice steak across the grain; serve with Pineapple-Pepper Salad garnished with cilantro, if desired. 1 teaspoon finely chopped jalapeño pepper can be substituted for the habanero chile pepper. > Use your spice and herb cabinet to make your own jerk seasoning: 2-1/2 tsp. dried thyme, 1-1/2 tsp. sugar, 3/4 tsp. allspice, 1/2 tsp. salt, 1/2 tsp. cayenne pepper and 1/2 tsp. ground black pepper.